I saw the news about Carrie Fisher on Twitter. The song is one of a handful of Simon’s colored by his brief marriage to Fisher, along with “Hearts and Bones” and “Graceland,” arguably among his best. I’d not realized her connection to “She Moves On” until I went looking to see what of his she’d inspired; when you can’t find words, Paul Simon is a good place to start. And I wanted words better than the easy one. It’s easy to say “RIP Princess Leia,” and, sure, I’ll admit that for a child of the ’70s, that’s a big part of how I process the news. It irks me a little when people reduce a celebrity to their biggest or favorite role. It was Leonard Nimoy, not Spock, who died last year. Spock will outlive Nimoy, and, unlike Nimoy, leaves behind no family and friends to mourn him. But I’d be lying if I denied being sad that, in a way, Leia has died — her story remains unfinished, and, while I hope much the bigger story will continue, there is a best version of it that we’ll now never see. My day starts with a song Carrie Fisher didn’t write, it ends with a movie she didn’t work on; and yet both spring from her indelible mark on the world. She touched my day without even doing anything. It’s a little unfair but also undeniable that, despite being a talented and prolific storyteller, she’ll be remembered most for her part in someone else’s story, but it’s a story that she helped shape into one of the most iconic and resonant of the last century, a modern myth. For that, and for so much more, thank you, Carrie Fisher. So yesterday after work I left the office and immediately headed for Barnes & Noble to pick up the newest Star Wars book, just released that day. To be sure, I like Star Wars and all, but generally speaking I haven’t been a “read the books” fan for many many years. This book, Finn’s Story, though, is written by my friend and former editor Jesse J. Holland, so I made an exception. Not bad, sir. Not bad at all. “Did you ever hear a church bell tone? B.B. King has stopped touring. But it’s just not true. As I’m typing, I’m listening to B.B. King. And I will for decades to come. As prolific as he was, I’ll even probably still keep discovering new music, new performances. B.B. 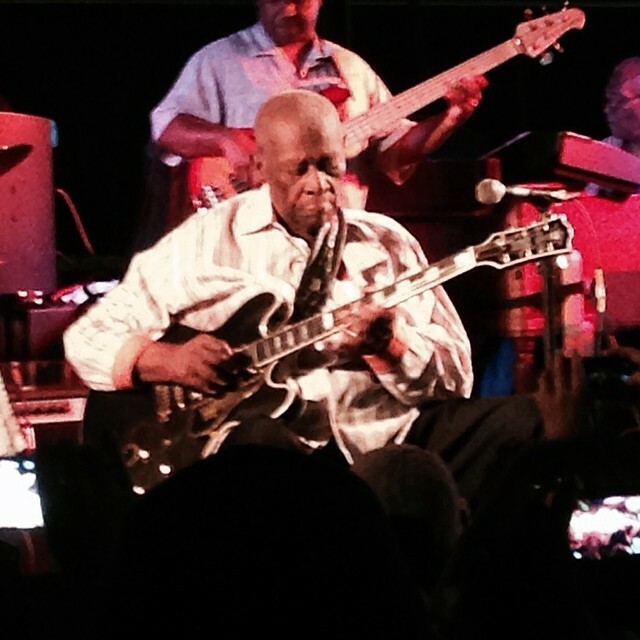 King, the King of the Blues, lives on. A good man died last night. I don’t recall ever hearing anyone call him Riley in person. To people talking to the performer, he was B.B. or Mr. King or Dr. King. He bristled at the latter one; while he was touched by his honorary doctorates, “Dr. King” was the Reverend Martin Luther King, and B.B. felt unworthy to be called by that name. To friends, when he wasn’t B.B., he was, more casually B. And that’s who the world lost last night. I didn’t know him — he certainly wouldn’t have known me — but we had mutual friends, and I had the privilege that I had more direct experience with B than with B.B. King. I went, once, to see him in a true and proper concert, here in Huntsville at the Von Braun Center five years ago. It was a bucket list item, and I’m glad I had the opportunity. But most of my experiences were when B came home. He was born in Berclair, Mississippi and died at his house in Las Vegas, but Indianola, Mississippi is where B.B. King considered to be home. Home being a relative concept. B.B. spent far and away most of his time on the road; I honestly thought he would die there. He nearly did, and probably would have if he could have. He bought some property in Indianola many years ago and long talked about building a house there, but never did. I’d hoped the building of the B.B. King Museum might make it more appealing, it was pleasant to imagine him sitting in a big chair at the museum talking to visiting children. I think he could have been happy, but it’s not who he was. But for a couple of days each year, who he was was the man who grew up in Indianola, picking cotton and playing gospel on a street corner and hanging out with his friends. His visits home involved long visits with good friends and often food that the well-known diabetic really didn’t need to be eating but that it wouldn’t be home without. Over the years I lived and worked in Indianola, my job with The Enterprise-Tocsin newspaper gave me glimpses of this side of B.B. – one of the friendliest, most good-natured men you’ll ever meet, loyal to his friends and humble and accessible to strangers. It wasn’t hard to imagine, if he ever could build that house, passing him in the vegetable aisle of the Sunflower Food Store like anybody else in town. He was so real, so genuine, so friendly. He enjoyed being B.B. King, but he never let it go to his head. 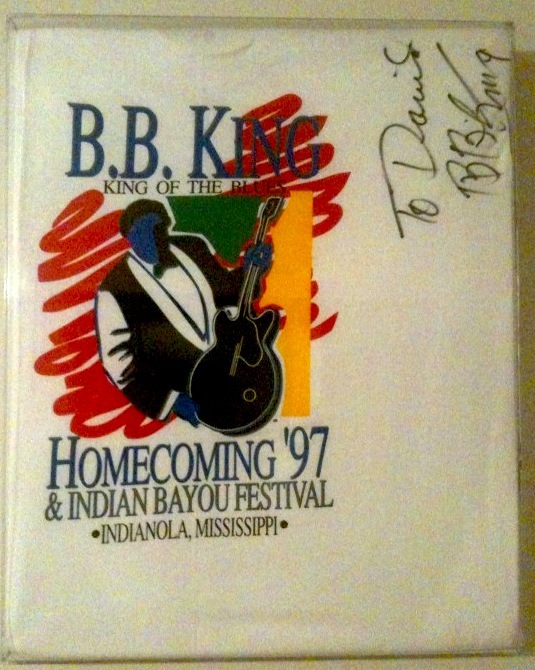 T-shirt I designed for the 1997 homecoming festival, signed by the man himself. And then at the heart of it all there was the annual homecoming concert. Every other night, he performed for other people. On that one night, he performed for himself. He indulged himself, he had fun, he did what he wanted. He didn’t make a dime that night, and anything that was charged for tickets went to local parks and later to the museum. He didn’t make anything, so he was beholden to no one. He played a few songs, he let his band riff, he held a dance contest for kids. People who came to see the King of the Blues sometimes left disappointed, but that’s not what it was about. It was about B.B. coming home. I saw him there many times over the years. When I moved to Alabama, it became harder to make it back, but on rare occasions I did. Last year, they announced that it would be the final time B.B. would play the homecoming festival. It seemed an odd decision, since he was still touring. The concerts recently maybe hadn’t been as good as they’d once been, but he was still performing and people still wanted to see him. Why decide then that it would be his last? I read something just this week about the festival being held at the end of this month, for the first time without B.B. And then, this morning, that he was gone. Whoever made the decision last year, it appears they were right. Or maybe a road that didn’t go through Indianola was a road nearing its end. Either way, B.B. King died 10 days before the Indianola Homecoming Festival was to be held for the first time without him. I’m so very glad I went last year. I’m glad I got to see him again. I’m glad Rebecca got to see him in person. I’m glad I got to stand by my former editor and my friend Jim Abbott for the historic moment that B.B. 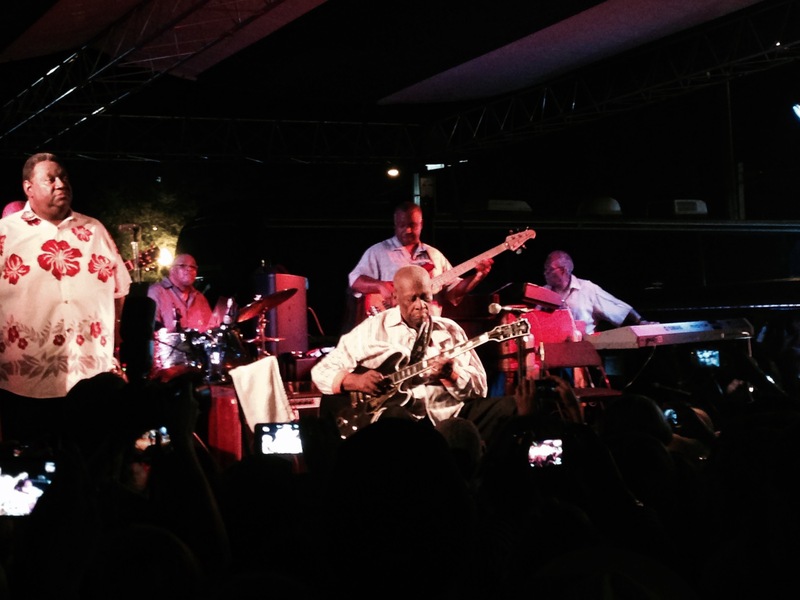 King left the stage in his hometown for the last time. And I’m glad I saw that performance. He was old — so very old — but he gave all he had, and that night, he was all he’d ever been. It was worthy of the King of the Blues. No dance contest, just B.B. King doing well what he made his name doing. It was an amazing concert, far better than the one I saw in Huntsville. There are other stories I could tell, like getting to give him t-shirts on a couple of occasions, or Lucille getting lost in the Mississippi Delta, but I’ll tell instead my favorite story of B.B. 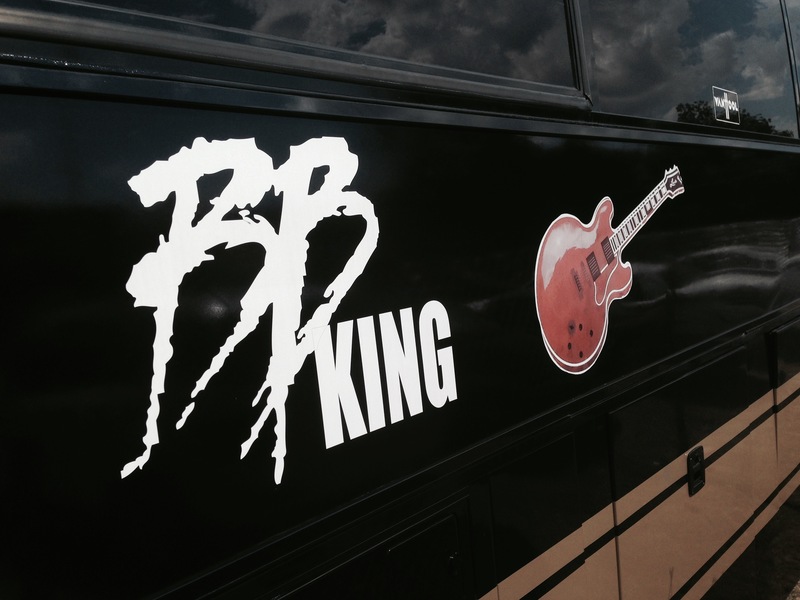 King, the story that, more than any other, captured why — beyond being a good man and a great musician — B.B. King matters. I said the homecoming performances were for him. He had fun. I mentioned the dance contests. They were ostensibly for the kids, but I think they were, even more, for B.B. There was a section at each homecoming in front of the stage reserved for children. B.B. would play songs for a while, but at some point, he’d start the dance contest. He’d call kids up on stage, the band would play, the kids would dance. B.B. would walk across the stage, hold his hand over each kid, the audience would clap. The kid that got the most applause was the winner. Depending on the year, B.B. would hand out cash. This could go on for a while. The audience would get bored, some people would leave, but the kids, and, most importantly, B.B. were having fun. It was important to B.B. to get a diverse group of kids on stage – boys and girls, different races. If it was getting too heavy loaded one way or another, he’d ask for what was needed to balance it out. This was important. And, let me point out, is not the way things always were in Indianola, Mississippi. In days past, Indianola was the birthplace of the White Citizens Councils, the white-collar, as it were, version of the Klan. It was important to B.B. that today’s Indianola look different than the one he grew up in. So one night I’m at the homecoming festival, and after the dance contest had stretched on for a while, I decide to walk back home. Indianola’s a small city; home is just over a mile away, and you can hear the festival clearly the whole walk. There was a day when that would not have been OK.
B.B. was not a crusader or an activist. He was a man who believed things should be better, and made it inevitable. B.B. King was a force for integration because he made people want to open doors for him. He mattered. He matters. The world is the less without him in it, but it’s better for him having been here, and always will be. Twenty years later, there aren’t a whole lot of my former professors I still keep up with. And there’s a case to be made that Joe Atkins​ might have been an unlikely candidate to be one of the few, since I failed one or two of his classes, depending on how you count. But Joe, as much as anyone, is the person who taught me to be a reporter. Not just the technical aspects of how to be a reporter, but what it means to be one. He was tough but fair, and played a huge role in the foundation of the arc my career would follow. So it was very interesting to get to write an article about Joe for the most recent issue of Mud & Magnolias about his first published novel, Casey’s Last Chance. Most of my stories for Mud & Magnolias​ are assigned to me, but this is one I asked to be allowed to write. I thought it would be an interesting subject, which is was, and I wanted to be able to help promote his book, which you should read. What surprised me, however, was how interesting the interview prep was. I’ve known the man for over 20 years now, but I’d never actually researched him before. He’s even more fascinating than I realized. The experience of the interview itself was also interesting. I was a pretty decent reporter back in my day, and even if I’m not in the newspaper business anymore, I do get opportunities to keep those skills from becoming too rusty. It’s been a long time since I’ve been nervous about conducting an interview. But I’ve also never before interviewed the person who taught me to interview someone. Going into it, I almost expected to be corrected on my technique. 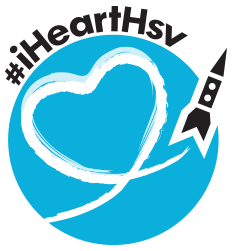 In reality, we had a really great conversation about the differences between journalism and fiction, the creative process, the future of the newspaper industry, and a lot more. The hardest part of the process was how much I had to leave out of the article. Ole Miss historically has a great journalism department and produces great student journalists (I read Tuesday that The Daily Mississippian​ just won another regional best daily student paper award), and professors like Joe Atkins are a bit part of why. I was blessed to be one of his students 20 years ago, and am honored to call him a friend today. And, in conclusion, buy his book. So back in the day, my coworker Tim Whitten created this moonlander game, using actual photos from the Apollo missions. It’s pretty cool, and to the best of my knowledge, it doesn’t exist anywhere else now, so I thought I’d share it.